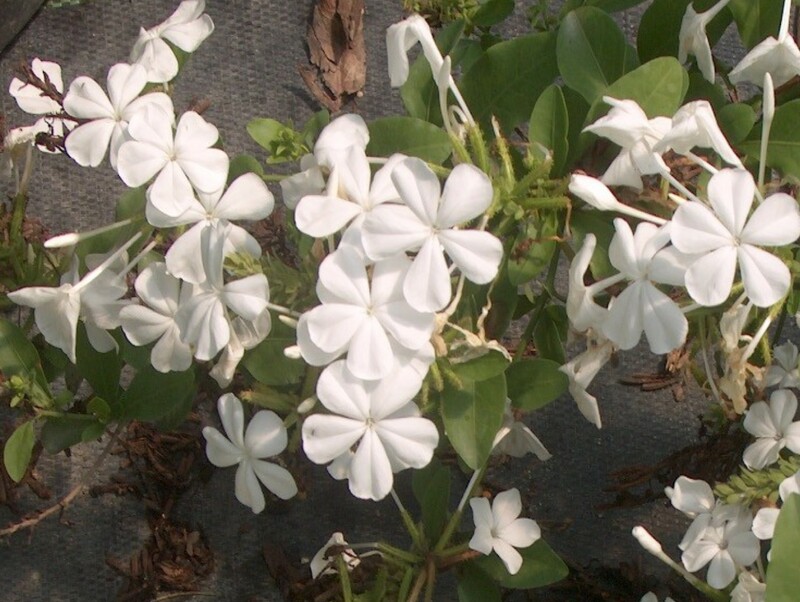 Comments: Grows and flowers best in full sunlight and flowers best when the temperature is high. The species has blue flowers and this one has white ones. More flowers are produced by the blue flowering selection. Killed to the ground with hard freezes, but quickly recovers.